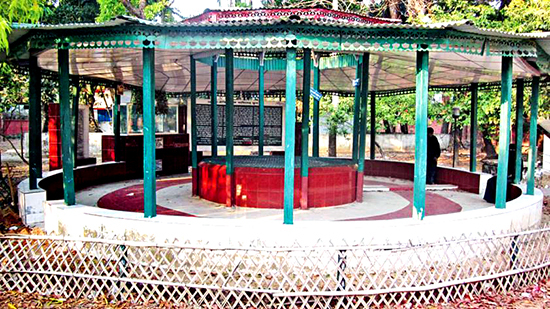 LOVE SYMBOL PRESERVED: This well at Teknaf in Cox’s Bazar district serves as a remembrance of the legendary love, albeit ending in a tragic estrangement, between then police officer Diraj Bhattacharya and Ma Thin, daughter of a local Rakhine landlord, during the British period. The story was like this, Bhattacharya, a Jessore born police officer was posted to Teknaf of Cox’s Bazar it’s unlikely he was thrilled. Teknaf at that time was beyond-remote, barely accessible by road. For a young man like Bhattacharya, Teknaf must’ve seemed the end of the Earth. There is an old well in one corner of the yard inside the Teknaf police out post. In the course of each day local Rakhine women arrived to fetch water. It’s fair to say that in their colourful blouses and thami skirts they were pleasing to a police officer’s eye. Their lively chitchat brought cheerful enthusiasm to resonate as far as the veranda. Over time their relationship intensified until a wedding date was set. In the meantime, however, Bhattacharya’s family came to know of the affair and one day he received a letter saying his father was sick and he should return home urgently. The affair didn’t end well. Bhattacharya never returned to Teknaf. Eventually he left the police service to become a movie star; and he wrote a book called “When I Was a Police Officer,” which includes an account of his love for Ma Thin. Later Kyaw Maung’s wife brought a boy from Teknaf who is also a relative of her. Initially, for only domestic help but by the request of the boy’s mother she gave him to attend to the nearby school also. However, the boy with his talent and hardworking able to matriculated from State School of Akyab. 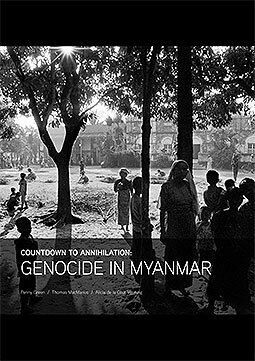 Then, as the then tradition of Rakhine community, the boy was sold to another landlord of Maungdaw, named U Poe Tha, as his son-in-law. The boy married Ma Khin Kyi, the eldest daughter of U Poe Tha and continued his higher study at Rangoon with the financial help of his father-in-law. This boy is not other than the MP, Minister, and active Chief Minister of Arakan State Government, U Mya (Mra) Aung, who neither he nor his parents nor anyone of his grandparent were/ are legal citizens of Burma (Mynmar) by any existing law of the soil. These are not only isolated cases; there are many cases like these. Many Rakhines who were already citizens of Pakistan in accordance with their law, migrated to Arakan after the Independence of Burma. According to Sultan Mahmud, former MP and Health Minister of Burma during U Nu Government, ‘thousands of Rakhines from Barisal, Teknaf, Ramu, Cox’s Bazar and Chittagong Hill Tracts migrated to Arakan annually. 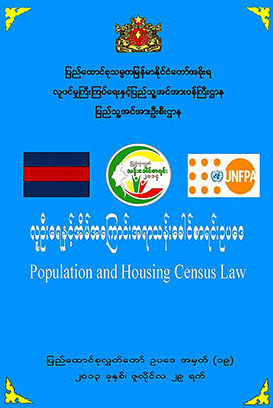 They were welcomed by the Burmese authorities with flags and music, issued National Registration Cards….provided with foods, clothes, medicines and household materials. They were settled on Muslim’s lands. They were provided with arable lands, cattle, seed-grains taking from the Muslims. In the most prosperous areas the government has established so-called “Model Villages’ populated by Rakhines and other Buddhists from Bangladesh. This entry was posted in Articles, Burma, Feature and tagged Arakan, Bangladesh, Burma, Citizen, Maungdaw, Rakhine, Rohingya, Teknaf. Bookmark the permalink.